Rural hospital an affordable model? Bayalpata Hospital Community Health Worker Bhajan Kunwar checks the blood pressure of Namsara Tamrakar at her home in Chandika village, Achham district, Nepal, Feb. 2018. Below is the article I wrote for Nepali Times after visiting Bayalpata Hospital in Nepal’s Achham district. Achham is often described as “remote” but we drove there easily in 9 hours from a main city, paved roads all the way, and jolted by fewer potholes than you’ll suffer driving in Kathmandu. Watching this movie reminded me of a review I once read of ‘London Calling’, by The Clash. “Makes you feel like beating up a used-car salesman,” it said. I don’t know why the reviewer chose a used-car salesman, but the album did generate that kind of fist-clenching energy that made you want to rush outside and start sweeping aside the rotten, old establishment. 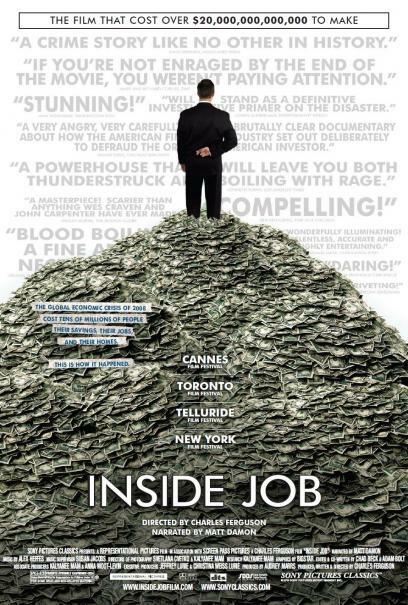 I felt something similar watching Inside job: disgust at what Wall Street and its White House cronies got away with – and continue to get away with – and a wonder that it looks like nothing will change as a result.